Sound shapes in musical platformer released on the PS3 in August of 2012. The game included the new “cross play” feature, which allowed for players to buy the game on the PS3 and get the PS Vita version for free or vis-versa. 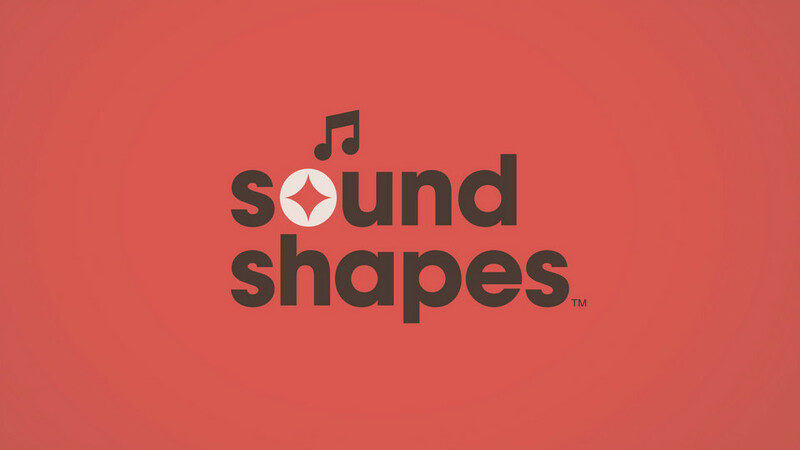 Sound shapes is a simple game in which you play as a small blob who travels through levels while creating music. The gameplay is simple, all players have to do is move the blob around while avoiding enemies and obstacles like lava. The blob has the ability to stick to certain surfaces, allowing it to maneuver easily in some areas. Other areas only give the option to jump, which the blob can also do. The musical aspect comes from the gameplay, as the blob progresses the goal is to touch certain objects creating music. Touching all the objects will complete the level, but if one is missed the player can still complete the game but the levels will not be fully finished. The musical objects range from notes in the air to creatures that can be bounce the blob off of them. There are five different chapters in the game, each containing four to five levels. Each chapter has a different artist and musical artist behind it. The musical artists include I Am Robot and Proud, Jim Guthrie, deadmau5, and Beck. The visual artists include Vic Nguyen, Superbrothers, Colin Mancer, PixelJam, and Pyramid Attack. The musical artist and graphics artist combine to create brilliantly dynamic levels. Each level in each chapter has a different beat, and each chapter has a different look. Beck and Pyramid Attack’s chapter is called “Cities” and has a big city feeling whereas Jim Guthrie and Superbrothers‘ chapter is called “CORPOREAL” and has a very corporate, business feeling. Everything in this game feels unique and beautiful from the music, to the graphics, the even the gameplay. Sound Shapes also features online map creation. This gives players the chance to create their own level and incorporate their own music to each level. The level creation is extremely detailed and really gives the feeling of uniqueness. Other players can then play user-created levels and rate them. I give this game a 9/10 for it’s amazingly unique, independent feeling. The music in the game is amazing and the graphical talent really brings it to life and makes for a great time while playing. It can be a sensory overload at times, the music being in your mind while you take in the environment around you and control the blob character. But don’t take that the wrong way, the sensory overload is exciting and awesome. I highly recommend this game to anyone who likes music and gaming. It’s currently $14.99 on the PlayStation store which is a super cool price for what you get, so go out there, buy it, and enjoy it! Previous Previous post: LadyCroft3 Has Hit The Podcast World!